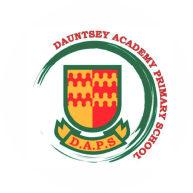 Dauntsey Academy Primary School’s food is cooked on site in the school kitchen by Michelle, she is assisted by Amy. 1: Download and complete an order form. 2: Ensure that the completed order form is with your school (or us), by no later than 9am Friday before the week they are required. NB: Should you have an emergency of a forgotten lunch box we can cater for this. If your child is in Key Stage 1 or entitled to free school meals, please indicate this on your order form.